"I'm a doctor, not a Lantern!" "Set power rings to stun." "To boldly go in blackest night..."
This stuff is way too easy. It just writes itself. 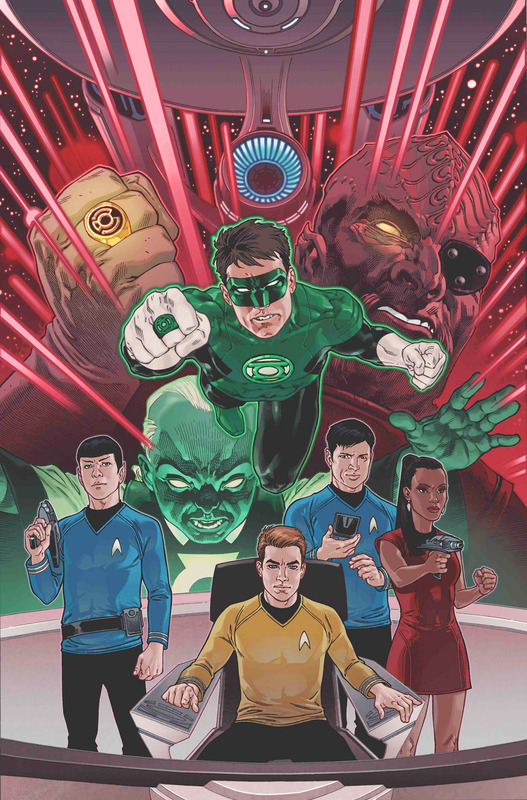 Come July, you may read a whole bunch more mashed-up catchphrases, technology and bad guys to fight when Star Trek and Green Lantern team up for a 6-part miniseries. 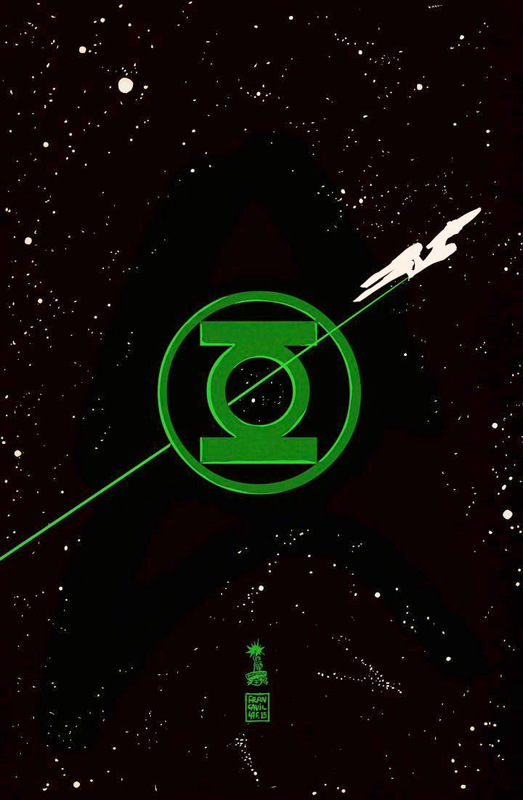 Titled Star Trek/Green Lantern: The Spectrum War, the crossover is yet another team-up between IDW Publishing (owner of the Star Trek license) and DC Comics (owner of Green Lantern). Past collaborations have included a Rocketeer/Spirit book, and a Star Trek/Legion of Superheroes title. The story, set in Star Trek's time period of the 23rd Century, finds the power rings usually used by the Green Lantern Corps falling into the hands of "certain Star Trek characters," according to the plot description. It goes on to say that "a dark and powerful evil looms around every corner," and that the Corps and the Federation have to join forces to stop it. We're guessing there will be some multiverse mechanics involved in the meeting of these two universes. One of the biggest twists of Spectrum War (aside from, you know, the entire premise) is that the Enterprise crew that Hal Jordan and his pals encounter won't be the classic crew. It's the new crew from the J.J. Abrams movies. Written by Mike Johnson with art by Angel Hernandez, Star Trek/Green Lantern: The Spectrum War debuts in July. Franchise team-ups seem to be a priority for IDW. The company has previously paired the Next Generation crew with Doctor Who, and most recently, the classic crew with Planet of the Apes.